Looking for an exciting and educational experience for your school? Parents, teachers and students agree that Science Nights with Mad Science create an unforgettable night filled with fascinating displays and exciting take-home projects! Science Show - Kick off the night with a fascinating science show that will entertain both students and parents alike. 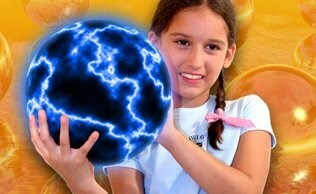 See amazing chemical reactions, fantastic forces and our giant foam factory. Click here to link to our shows! Fun Stations - After the show, students and parents will rotate through our Science Stations. Each station is filled with interactive hands-on exhibits that promote scientific learning. Students will also make Click here to link to our Fun Booths! 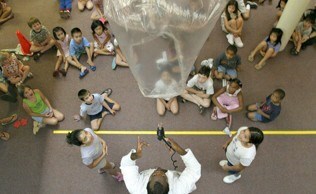 Call us today to schedule a dynamic Science Night for your school!